A renowned professional musician, Michelle performs harp music in concert and theater; private and public events; and records albums. She is available for jazz, classical, pop, and new age events; studio recording; and music composing in the San Francisco Bay Area. These are her solo (harp music) and ensemble (harp music with strings and brass) CD's and sample mp3's. "...just a big THANK you for your music. 'Secret Harbour' has been with me for such a long time and I do not know how to express the many colours of feelings I have when listening to it. Especially, 'Within Every Moment' is just incredible. amazon.com Hear Michelle's harp with Tony Bennett and k.d. lang on "Wonderful World: Live in San Francisco" (Fairmont Hotel, 2002)"
Michelle's brilliant and extraordinary talent as one of the world's favorite harpists shines throughout this CD. New age orchestrations, upbeat rhythmic pop, acoustic jazz, and soloistic classical selections take the listener on an amazing auditory journey. 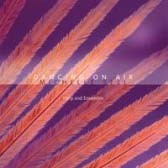 A recording resplendent in brilliant "harpistry" and evocative ensemble songs, "Dancing on Air" will make you do just that! The harp isn't just for angels, orchestral glissandos and Harpo Marx anymore. That's the message of this collection, which draws together harpists working within many traditions and countries, from Ireland to Venezuela. 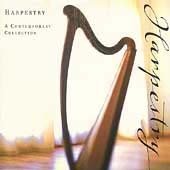 Largely composed of new, commissioned works by many of the world's top harpists, "Harpestry" features Michelle Sell, Derek Bell (Chieftains' harpist), and Andreas Vollenweider to name a few. Michelle's composition, "Sides of One," is a rhythmic, melodic, latin influenced song depicting the many sides of each one of us. 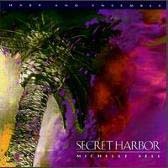 The songs on "Secret Harbor" are filled with both stimulating musicianship and melodic mystery as Michelle's writing style permeates your senses like a cool breeze. Her delicate harp music arrangements have a way of weaving in and out of your consciousness, deceptive in their subtlety and always beautiful. 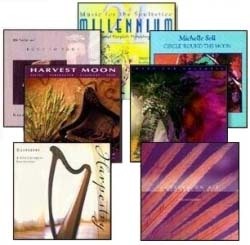 These uplifting melodies are portrayed on harp and feature authentic percussion, fretless bass, chapman stick, saxophone, cello, lush keyboards, and more. 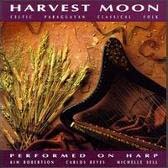 "Harvest Moon" is an original collection of evocative harp selections including classical, contemporary, Irish, Celtic, and Paraguayan styles. It features the talents of three exceptional artists: Michelle Sell, Kim Robertson, and Carlos Reyes. 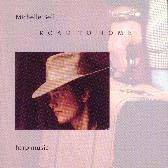 "Road to Home" is a diverse collection of Michelle's original compositions, both ensemble and solo. Dedicated to the memory of her parents and in honor of her three irrepressible siblings, this recording musically chronicles our own internal journey "home." One of the solo harp selections entitled "Hand In Hand" is an intensely emotional composition and is in honor of the last time Michelle and her mother touched hands. A more popular, contemporary flavor permeates most of the remaining songs whether they sound straight from the Caribbean as in "No Problem" (dedicated to her father), or "Can't Stop the Wind" with its strong melodic line and replete with chapman stick and drums. Rooted in the gracefulness of the classical tradition, this recording offers rich melodies and a wide variety of rhythmic colorings. Five tracks are collaborations with master cellist, David Darling. 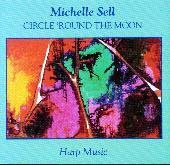 "Circle 'Round the Moon" features tasteful and elegant ensemble playing with crossover appeal. 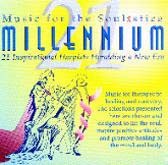 "Music for the Soulstice Millennium"
Twenty-one musicians play harp music for therapeutic healing and recovery. The selections presented here are chosen and designed to lift the soul, inspire positive attitudes and promote healing of the mind and body. Partial proceeds from the sales of this recording will benefit the SUSAN G. KOMEN BREAST CANCER FOUNDATION. Michelle's song, "Pieces of Glass" is a harp solo on her Camac electro-acoustic harp. The title reflects the fragility of our lives and how quickly we all can break, if we don't love each other.